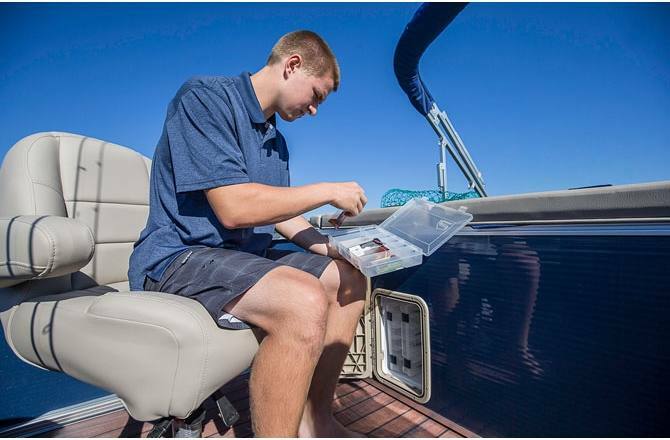 Pontoon fishing for any budget! 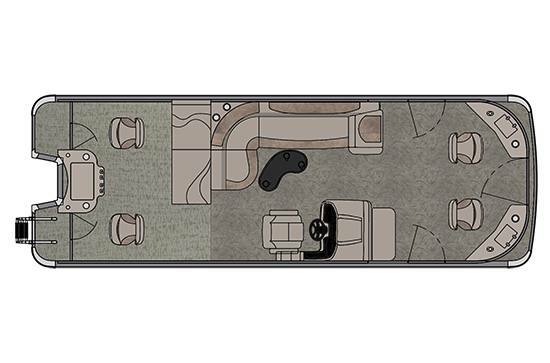 This full-size 8 1/2' wide fishing machine is offered in two layouts. If fishing is first and cruising is second, then check out the Quad Fish. 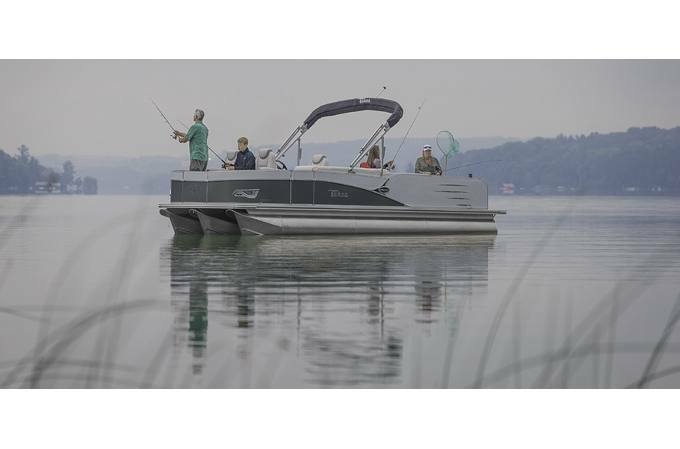 If cruising is your aim but you want a fishing-equipped space, then choose Rear Fish. Either way, you get a fishfinder, livewell, and rod holders. When you choose a Cascade Fish, you will have the best-equipped, best-looking, affordable fishing model.